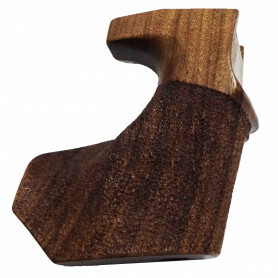 Rifle stock, aluminium stock There are 10 products. 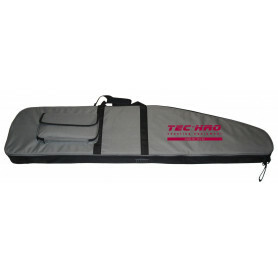 Rifle case for highest demands! Anyone looking for a high-quality engaged is also of Olympic winners, professional or semi-professional shooters as well as used shooting clubs, TEC-HRO models should look at because here every shooting sports enthusiasts will find the matching Engaged for his weapon. The well-stocked shop is the focal point for all who are on the lookout for high-quality shooting products. Fanatic the Wechselschaft is made of aluminium and is suitable for all small caliber guns. His name was not without reason, because it is both the desire and the passion for the sport shooting. This Engaged whets the appetite for competition, training, more precision and best results. So, with a bit of practice, it leads to many victories and successes. Since the Engaged is equipped with an innovative rubber coating on the adapter, it has an advantage compared to one for the first time Engaged without an adapter. This is due to the on this way incurred double damping. 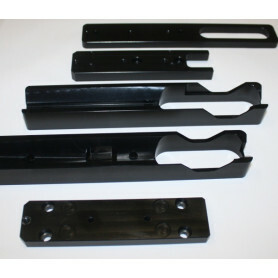 The special rubber coating can develop their effect under and over the adapter. This property is protected by the Patent Office. 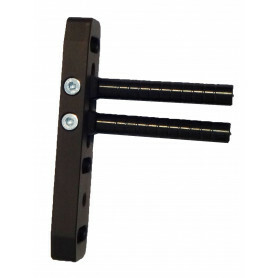 Another advantage is evident from the screws, which are also rubber threads, and not unintentionally accumulate. So it is with this specific TEC-HRO Engaged managed to leave many of its competitors. 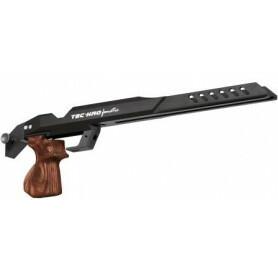 Furthermore, front - and backend for the TEC-HRO fanatic aluminium stock in the range are included. 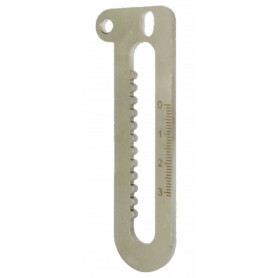 The Engaged fanatic is milled from high-strength and full aluminium. So, he inspired all shooters due to its excellent processing quality. He is also "made in Germany". The massive middle section ensures the high absorption of vibration when the shooting along with the special aluminium alloy. Also, the vibration characteristics were included in the firing of the shot in the development of the unique rifle shaft, so that special metal thicknesses and alloys these can positively influence at certain points. The Special Engaged designed to integrate various KK systems from different manufacturers use different adapters inlays. First, this is screwed, then completely into the shaft to the system. The double damping is possible due to the innovative special rubber coating of the inlays. 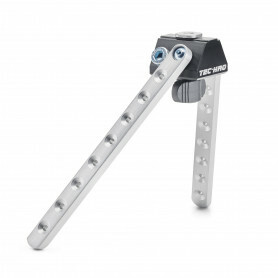 A suitable torque wrench is required to attract upper - and screw system. All components of the high-quality rifle shaft are coated and coated with a special layer of hard anodized, which differs from conventional anodizing. In this way, they are very scratch-resistant. The wooden handle of the shaft is oiled and can be variable in length differ and side. In addition, the cheek piece in five dimensions and longitudinal direction can be swivelled. Thus it is anatomic optimal head position of the marksman and at the same time made more comfortable. 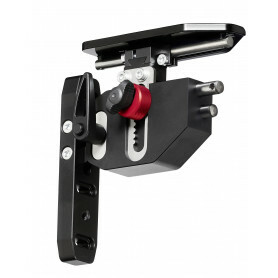 In addition, the Cheekpiece can be moved also backwards to allow comfortable head postures Edition protect. That innovative Locking system ensures that the buttstock with Schaftbacke-and CAP can be removed easily without tools and quickly replaced. This is positive especially when the new ISSF final rule, which foresees only seven minutes for kneeling and horizontal shooters, and only nine minutes for test firings and the conversion. Also stock and Cheekpiece height can be adjusted without tools. The lock between the hind and fore-end is both simple and ingenious, because then is an extremely solid and repeatable mounting possible. 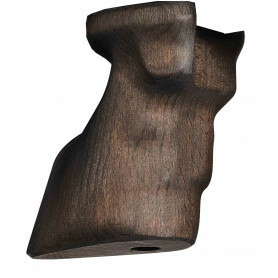 The Engaged fanatic is also ideal for the Benchrest shooting.